Following a two year recording project that became renegotiable in Feb. 2016 with renowned singer-songwriter Marshall Crenshaw and Grammy-winning producer Stewart Lerman, the band chose to move forward independently, triggering their first release in three years with the release of their Parking Lot EP, June 1. The first single (Michigan and Again) from the EP dropped April 9th and the subsequent video soared to half a million social media views in two weeks. The band is planning to record their third full-length album in October of this year. 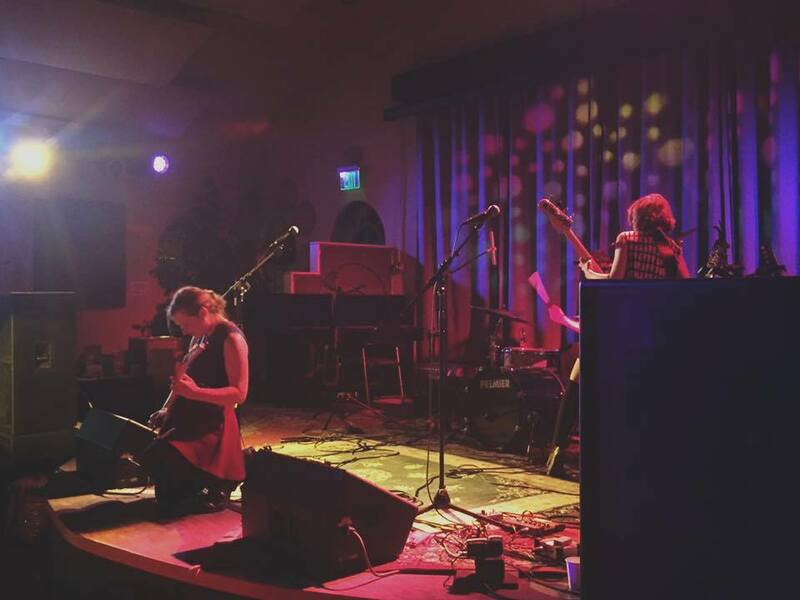 Meanwhile, The Accidentals are continuing their rigorous tour schedule at California’s Joshua Tree Music Festival and Illinois’s Summer Camp Music Festival in May and June, respectively, before heading back to Michigan just in time for their aforementioned EP release. Luckily for those of us in Tucson, though, these big incoming dates of theirs were predated by a premiere show at the Sea of Glass Center for the Arts, a local downtown venue off of 7th Street which has become renowned for its family-friendly atmosphere, embracing an alcohol-free environment to create a more musically-intent crowd to behold the varied spectrum of artists which they host throughout the year. One thing that the Accidentals always get right about their lives shows is consistency in showmanship. One may not expect these three natural introverts to be able to get down on stage, but they rock out with the best of them – on instruments considered unconventional for the task, like violin, cello, and a drum kit with a cajon as its centerpiece. On their latest single, ‘Parking Lot’, performed live, the Accs’ energy shines through creating a vibe that kept the crowd dancing. It was a real sight to see Larson and Buist let loose on their electric cello and violin, respectively, as Dause dished out hefty percussion during the song’s instrumental bridge. Jumping back to the start of the show, however, it was in the opening moments following the venue owner’s announcing the Accidentals that the first glimmer of their impeccable stage personalities emerged. A lone Dause sitting atop his cajon, head down, rocked out an impassioned introductory drum solo moments before linking into their notable hit, ‘The Silence’, as Buist and Larson come running onto stage, grabbing their instruments for their first performance of the night, has become a trademark of their live shows. It does well in building an immediate link between the audience and the artists, immersing them more fully into their character as they seamlessly transition from song after song thereafter. In between, the band are capable of witty banter to help the crowd along throughout their sets, as well. For instance, prior to their stomp-and-clap-along performance of ‘Grisly Bear’, Larson explained to the crowd that it was a song about roadkill, which many of the people that she had shared it with prior to its release believed to be, someway or somehow, a love song for her boyfriend. Buist then went on to describe the story behind aptly-named follow-up ‘Arizona Stars’ as one that was inspired by the gorgeous sunsets and starry nights put on display by the desert state. Closing out the night with an encore performance of ‘All About That Bass’, the band explained that none other than Dause’s mother had literally paid for them to perform the song—and with her son on lead vocals, at that—during an IndieGoGo campaign of theirs the previous year that had funded their first States-spanning national tour. The fact that Dause was able to perform Trainor’s hit with a blend of humor and serious technical prowess in a way that oddly went totally hand-in-hand might be enough to show that the band has a real professional vibe around what they do at only the start of their 20s, but it’s in the meat of their continued, ongoing tour from top to bottom that completely sells it. Altogether, they’re folk stars (‘Sixth Street’, ‘Crow’s Feet’), rock stars (‘Taxman/Tom Sawyer’), acoustic pop stars (‘Epitaphs’, ‘Miso Soup’), and even gypsy jazz stars (‘The End’), and no matter what variation of them that you’re getting, they’re 100% The Accidentals. To top it off, they sell it every single time that they get on stage no matter whether they’ve had a full night’s rest or have been awake for nearly 24 hours since an early morning plane flight from Michigan took them to Arizona overnight. All in all, the band proved for the second time to a Tucsonan crowd why they’re fan favorites in their home state and why they’re fully capable of climbing up the proverbial ladder of renown, and, speaking on behalf of the entire city, I know that we can’t wait to have them back for a third. 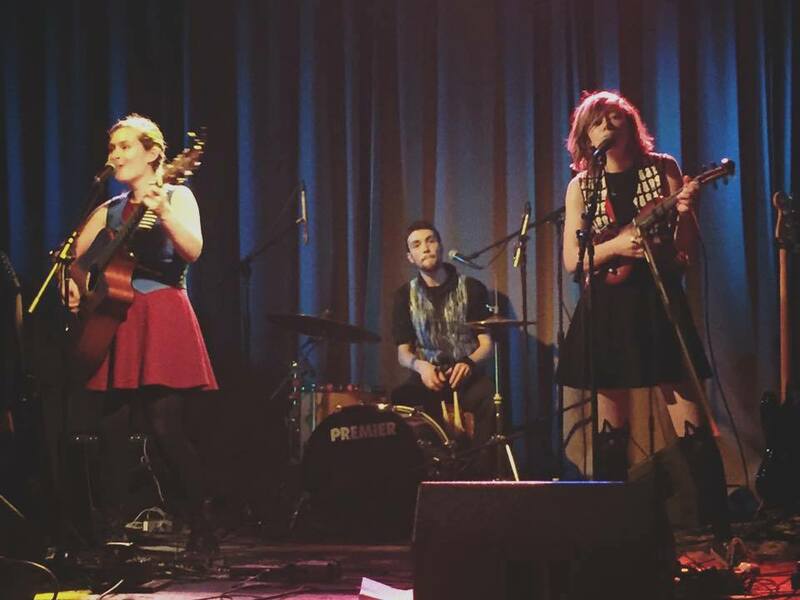 Catch The Accidentals at any of their upcoming tour stops. Check out their official Facebook page for more info!